I'm unable to switch on Install via USB option for debugging purpose. I have tried switching to mobile data and using MI account . Also, tried turning off MIUI optimization. Nothing worked till now. I always get the error that says "The device is temporarily restricted"
I'm stuck for 2 days now. Could anyone here help in resolving this? Scroll down to find About Device and tap on it. Locate MIUI Version and tap several times on it. you will get a message "You're now a developer!" on your device screen. Run Additional Settings, and tap Developer options to enable it from there. 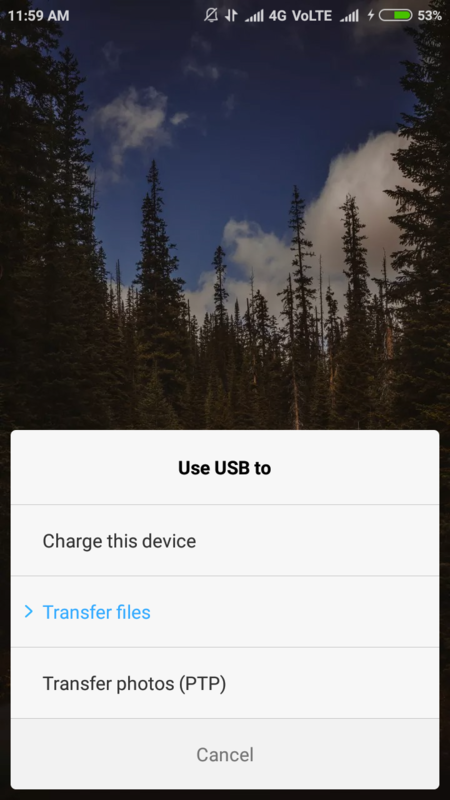 Scroll down to find USB Debugging option and enable it. File → Settings → Build, Execution, Deployment → Instant Run and uncheck Enable Instant Run. Then try to this way because it's working for me. Select Transfer file now it's working. Not the answer you're looking for? Browse other questions tagged android android-studio usb or ask your own question.